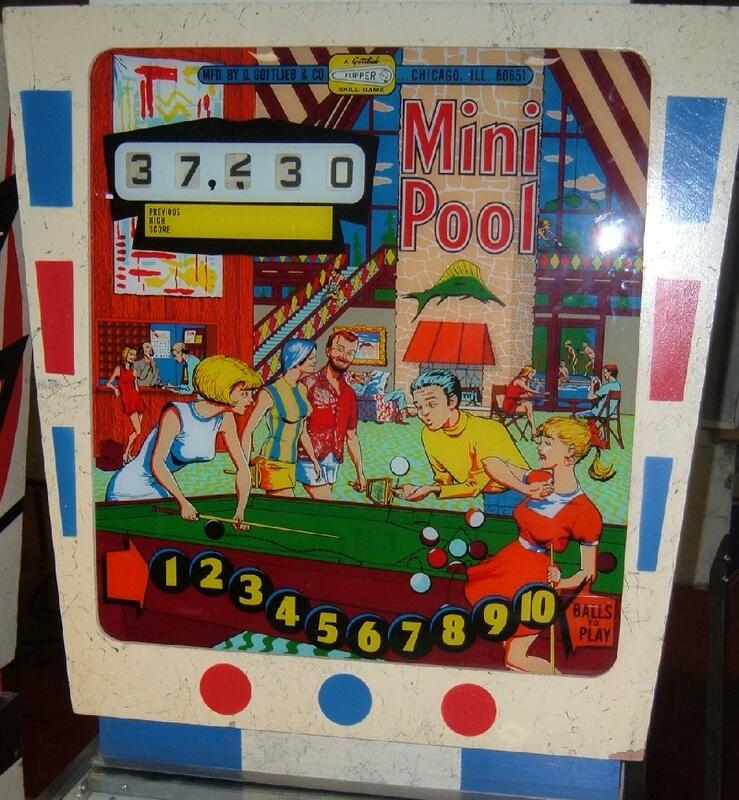 Description: Gottlieb Mini Pool pinball. Same game, with minor artwork differences as Target Pool (Mini Pool is add-a-ball, Target Pool is replay). One pop bumpers, 27 standup targets (! ), 7 rollovers, four slingshots, two 2" flippers. If you ever wanted a game with lots of standup targets, there is no match to Gottlieb Mini-Pool and Target Pool. 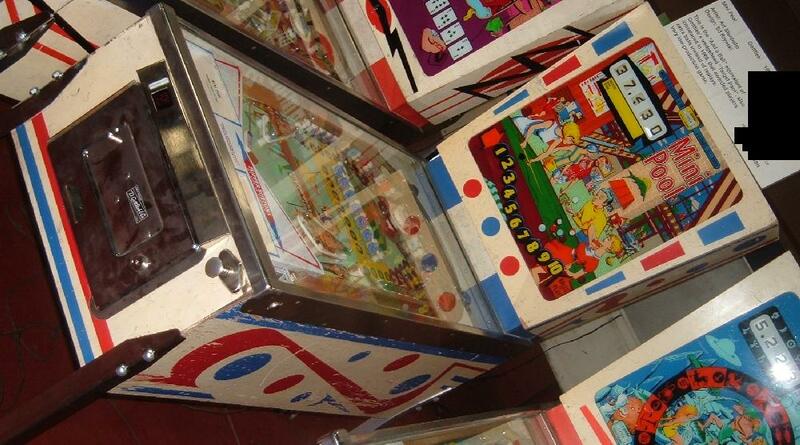 They made 2425 Gottlieb Target Pool pinballs, and 500 Gottlieb Mini Pool add-a-ball pinball machines. 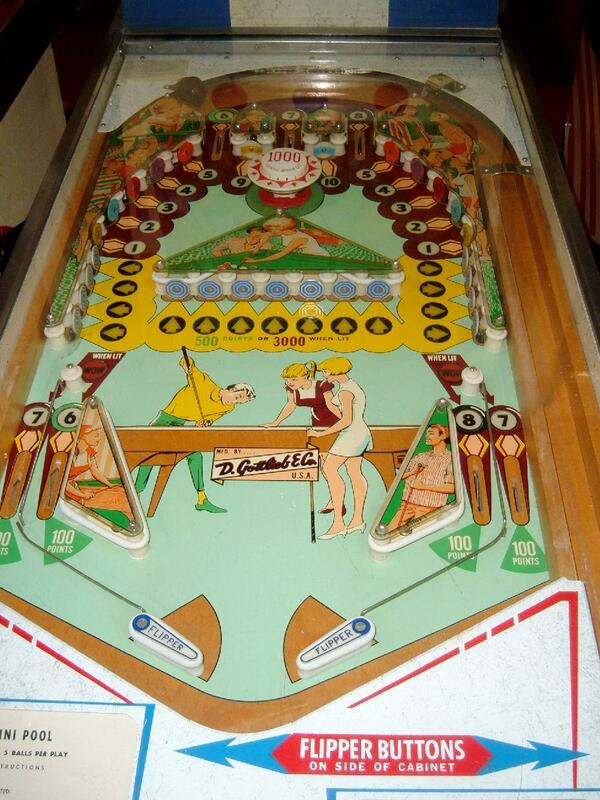 Gottlieb also made this game for export to Italy called Gottlieb Bumper Pool (2150 made). Gottlieb Bumper Pool is an add-a-ball, but only allows up to 5 balls maximum (compared to Gottlieb Mini Pool which allows up to 10 balls max).